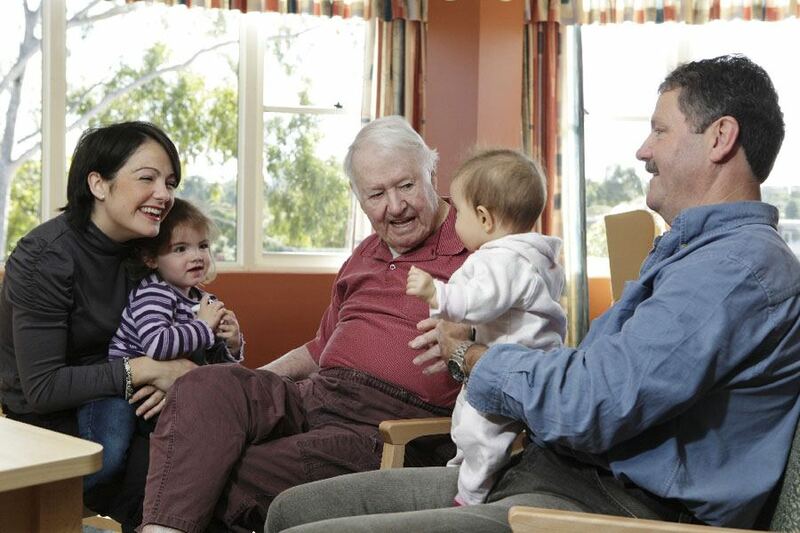 The Strathdale Centre is a fully accredited nursing home and aged care centre offering a caring, safe and friendly environment for residents. 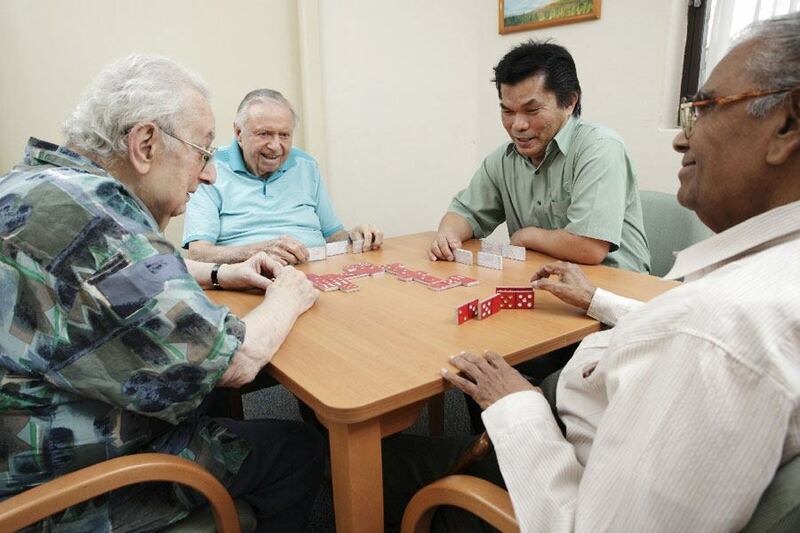 Our nursing home is located in a quiet street in Strathfield. Each floor of the three level centre has its own comfortable recreational, lounge and dining areas. There are sitting areas throughout the centre for residents and relatives to share time together. 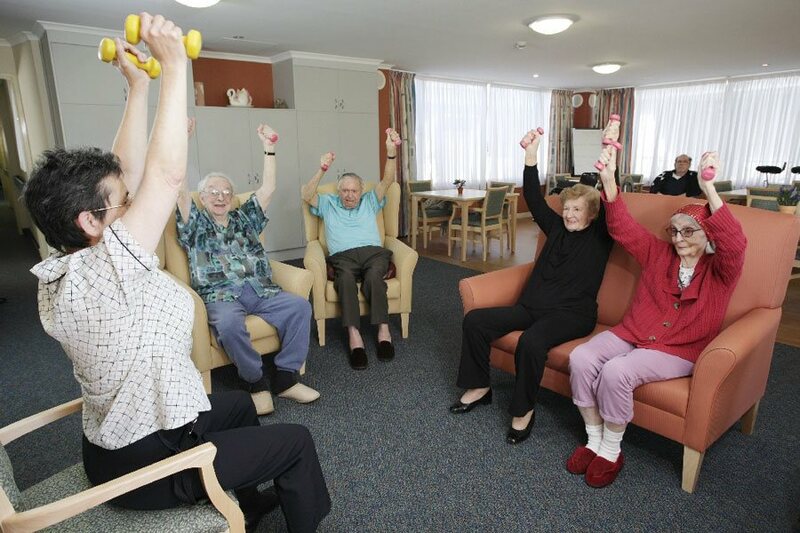 Recreational activities are held including fitness classes, games and craft classes. 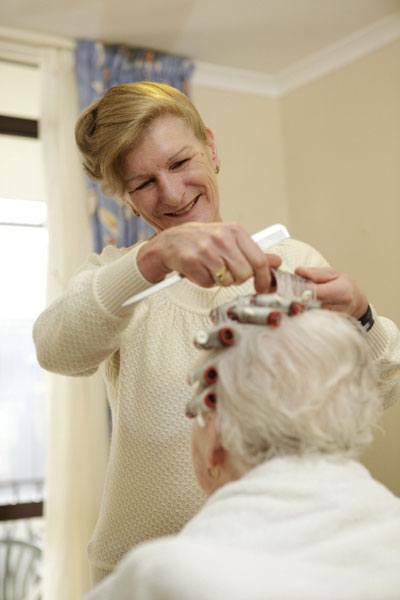 Residents enjoy the regular visits from the hairdresser for cuts, perms and colours. Newspapers are delivered daily and massage, aromatherapy and other natural therapies are also available. The lovely garden and gazebo area offers a secure place where residents and families can enjoy a relaxing afternoon. Group activities such as morning teas are often held here. 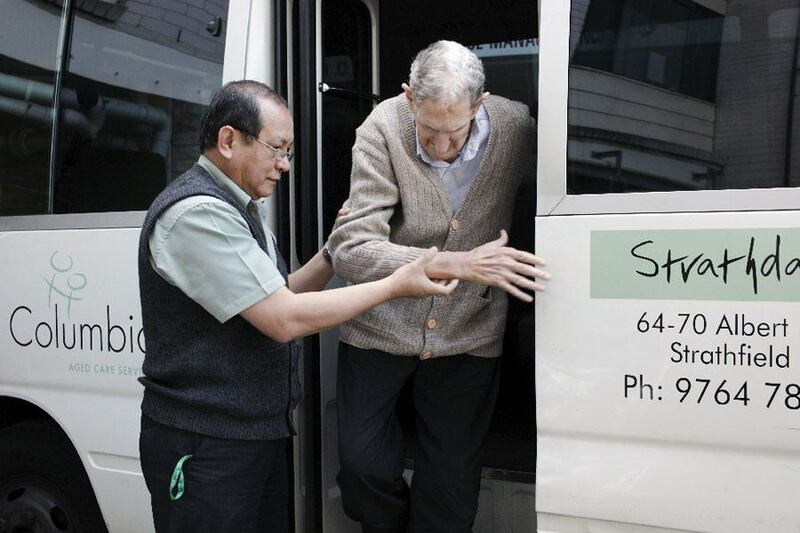 Our residents enjoy the weekly outings in our dedicated bus to community events and activities. Experienced registered nurses and assistants in nursing are on duty 24 hours per day to provide quality and specialised clinical care. The Centre provides a choice of single or share accommodation and the rooms in a friendly and safe environment. Large balconies adjoin each room with ensuites available. The building is centrally heated and some rooms have air-conditioning. The Strathdale Centre accommodates residents from a variety of different descents including Russian, Eastern European and Korean. To make sure all residents feel at home we offer multilingual staff, a culturally appropriate menu and specifically designed activity programs. The on-site kitchen provides tasty and nutritious meals and snacks using the most modern equipment and procedures. Residents have a choice of meals that are freshly prepared. Strathdale is only a few minutes walk from Strathfield Station and bus terminals, and the Strathfield Plaza shopping mall. Two major public hospitals are only 15 minutes away by car and churches of every major denomination are also close by. 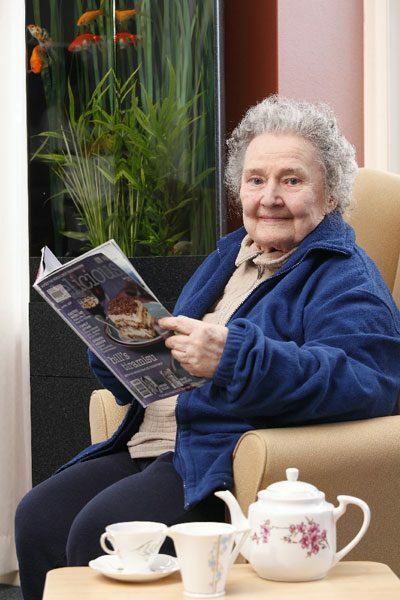 Moving into an aged care home may require payments or refundable deposits, as well as ongoing fees for your care, accommodation and daily living expenses. How much you pay depends on your financial situation. However, there are strong protections in place to make sure that care is affordable for everyone. 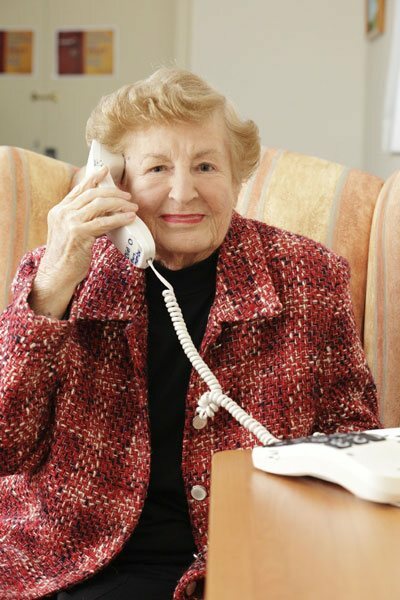 At Columbia Aged Care, we welcome all prospective residents no matter your financial situation. The government sets the basic daily fee which contributes towards the cost of supplying services such as meals, laundry, linen and electricity. You may also pay an income support payment, if you have income above the capped pensioner income amounts. This is determined through the Department of Social Services through an income and asset test. This co-payment will be known as a means tested care fee and will contribute towards the costs of nursing and personal care services. Accommodation payments are determined based on a persons level of asset and income. An assessment may be carried out through the Department of Social Services to determine whether a person is exempt from paying such a payment. 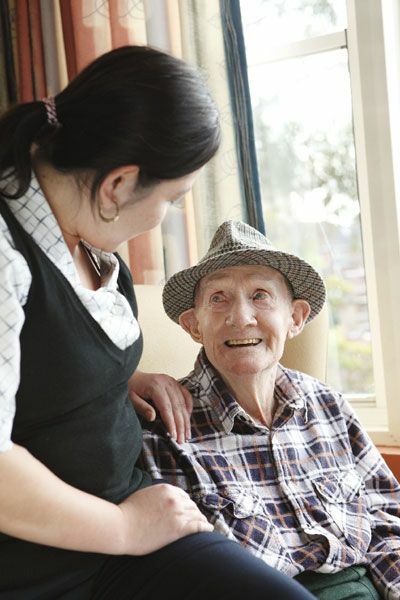 It is essential that this assessment is carried out prior to entering residential care to ensure your accommodation payment is calculated based on your personal financial situation. 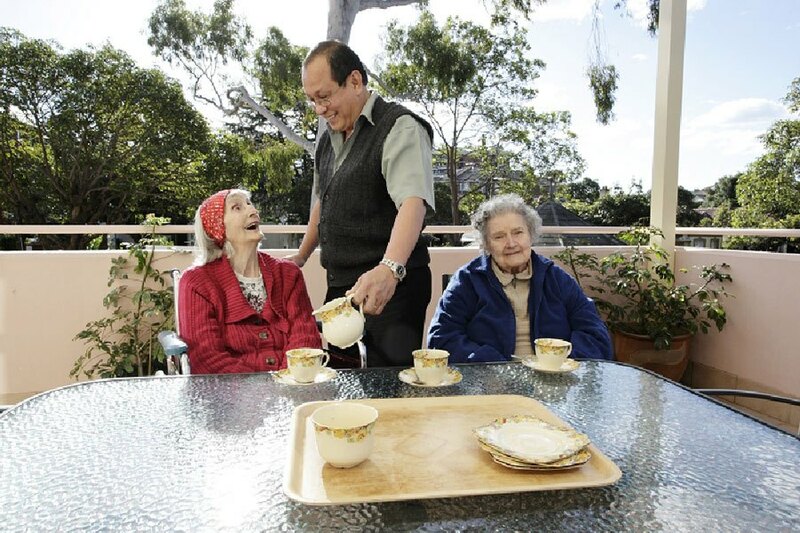 Columbia Aged Care offers four categories of accommodation payments depending on the room facilities. See our accommodation pricing and please contact us to talk through your care options. Would you like to find out if we have any vacancies for residents? Or would you like a tour of one of our Centres? Please fill in this enquiry form and our Relationship Manager will be in contact with you.